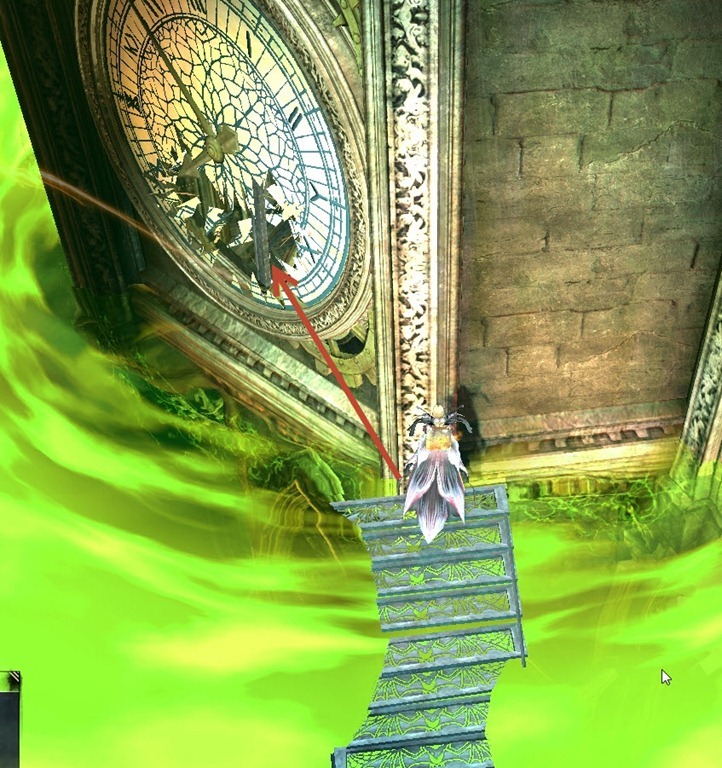 To access it, enter any of the Mad King’s Clock Tower doors located in Lion’s Arch. 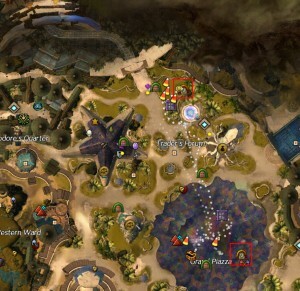 They are marked on the map as well. There are certain parts of the puzzle worth mentioning that gave me a lot of headaches. 1. Here, when you waiting for the stones etc to pop out, you can start jumping as soon as you see the screenshake to shave off a second or two. 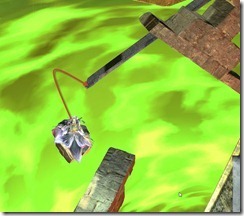 If done right, you will land when these platforms/stones appear. 2. 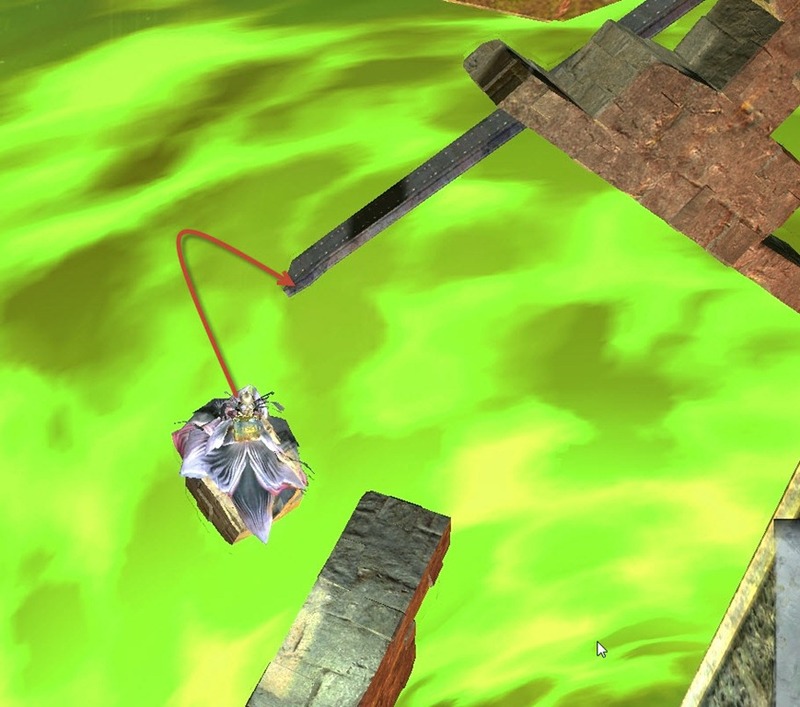 This jump here I had a 50% chance of missing it even after running the puzzle for a few hours. 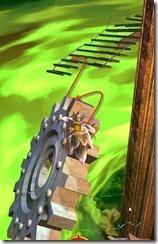 You need to run first and then jump so that you jump in the air to make up the distance to the large gear. 3. On this large vertical gear, I always find myself making a jump to get to the other end of the gear and then jump to the stairs. If I try it with just leaping to the stairs, I would always fail the jump. 4. 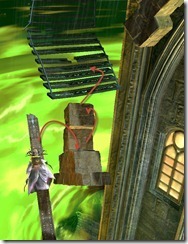 This jump here is a bit tricky as well, I aim for the tip of the beam to jump or otherwise I can’t make it up top. Once you get up the beam, make sure you don’t run off the side. 5. 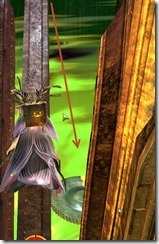 Once you get on this beam (the right beam), you need to jump off the tip of the beam to the fake chest below. Make sure you don’t just run off as otherwise you will just fall into the water. If you are a bit slow, the water might cover the fake chest platform and landing here will return you to the start. 6. Finally, for the last jump required to complete the puzzle, it is a bit buggy and will depends on your latency. When I had high latency 400-500 ms ping, I would always miss the jump no matter what. 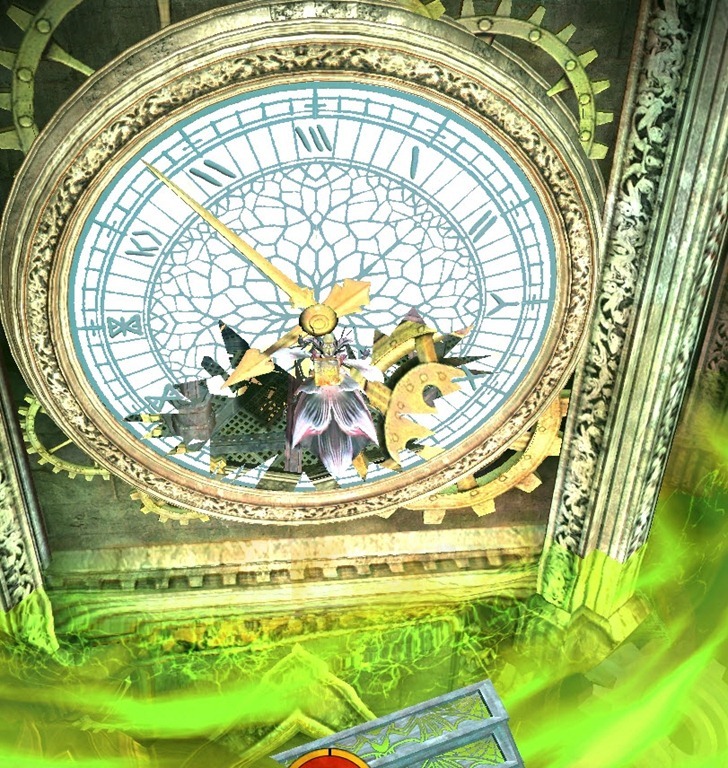 You need to wait for the lightning to strike the clock face and then jump immediately when you see parts of the clock face appear on your screen. 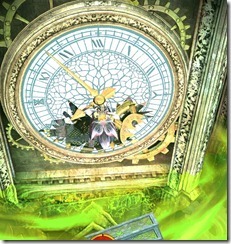 Doing it this way will make you hit the hole in the clock face once the clock face is in full view and not miss it. First run: Mad King’s Chest, which rewards exotic chest you can pick for your armor class (account bound, soulbound on use). This reward is once per account. The armor skin is not unique and can be obtained elsewhere so it isn’t something to really aim for. If you want a video resource, feel free to use my video of the jumping puzzle http://www.youtube.com/watch?v=kXRTfI06pXY. btw, thanks a ton for all the guides and tips on your site, especially the mad memoires guides! I ended trying to complete this puzzle for four hours yesterday (doing it while watching college football). It seems that the overflow servers cycle. When I started there were lots of people. As the hours went on, a few people either made it, or most left. Then it was just me and another for an hour, then the overflow started filling up again. It seems that they cycle since it happen one or two more times liked that. I did finally do it. I made it to the clock face 5 times and kept failing going into the window. Very frustrating. The sixth time I finally made it in. Very buggy, no legacy and perfect timing, then you’ll make it in. Just no when to jump is very important. Latency, not legacy. Thanks autocorrect. A quick tip, take off all your clothing if a Charr/Norn, will make it a lot easier. Do you have a list or guide for all the Mad King gear? I know this one gives slippers but I don’t have a clue where the others are or if even any of the items are out for rewards yet. Thanks! 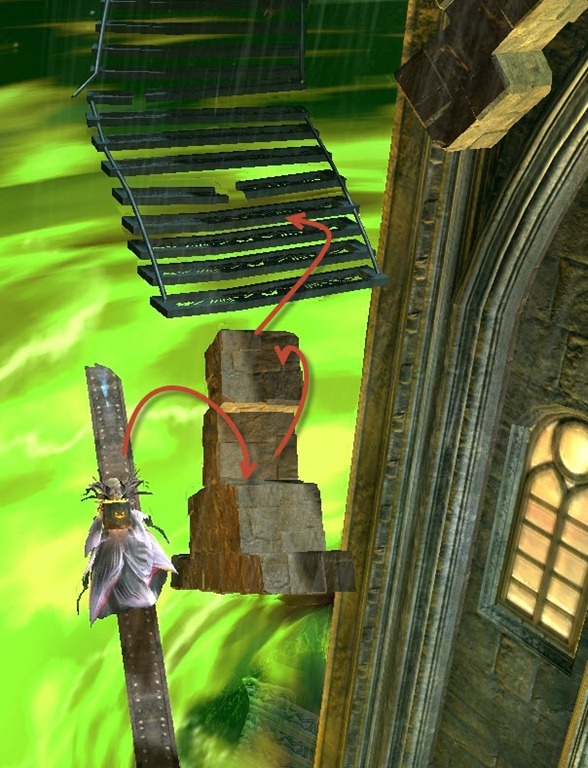 for step #2 i found the reason why people have a hard time jumping from the brick ramp up to the gear is because of how the brick ramp is angled. before the the tip, the ramp is angled in the opposite direction from where you’re going, thus if you jump too early it counteracts and you cant jump as far. if you jump after the tip the angle is forward and it will push your trajectory forward and thus youll be able to make it. After a few runs i’ve found that as you run up that brick wall ramp, move your camera angled overhead and you’ll be able to easily see when you pass the tip of it and can safely jump. after moving my camera overhead at that part i went from literally a 0% success rate to nearly 100% for that part. Haha, eventually got it for me and my friends. Thanks for the guide. I finished it after 2 hours. Pretty difficult at the beginning, but later we had a little guild meetup and we were basically farming the place. Got 500 tot bags from there . Долбаёбы блять не могут че нормально придумать! Am i the only one who had not any problem with running this? Took me 3 tries, one for getting that i need to jump on the lower chest, one for the broken clock to realise that this is the goal. Same here. Mastered it in about 30 minutes and am now farming it. Have done it over 100 times for the ToT bags. 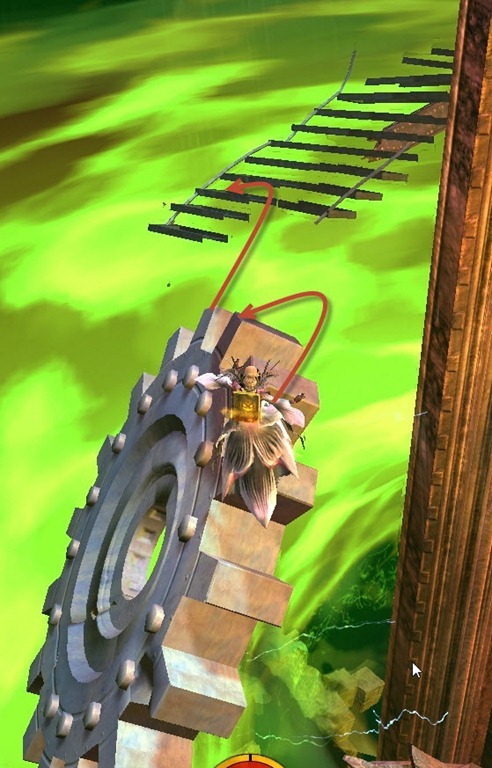 You can also get the second chest on the cog after the big jump every other time you do it. Getting both chests gets 14-17 bags. 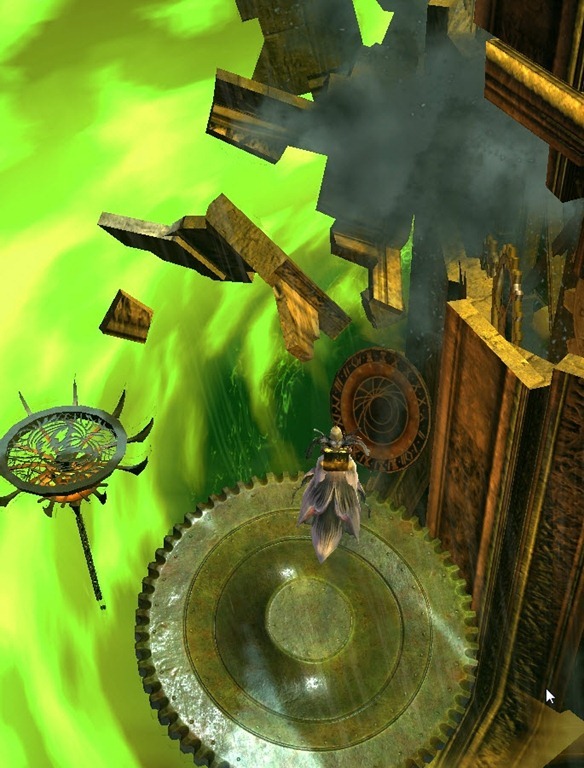 Just press F as soon as you hit the cog and you will be able to take off before the sequence ends. 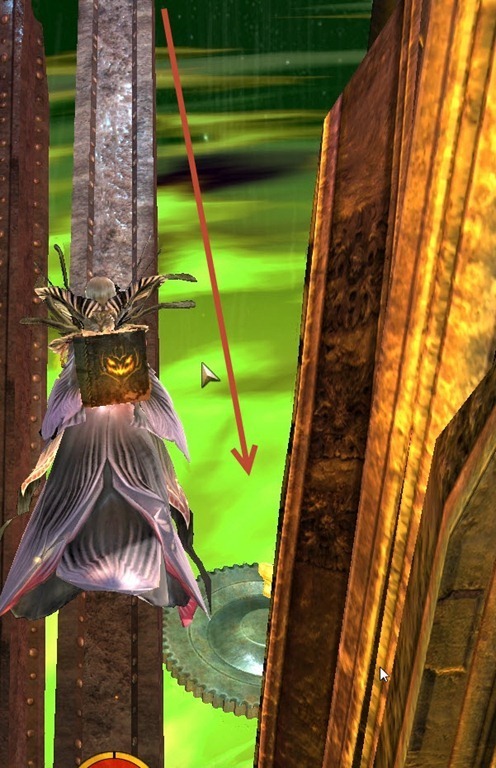 This may be a dumb question, but how does ur camra angle change direction without u having 2 move it? My main problem s is that everytime i get close or at least halfway there i have 2 change the camra angle with my mouse and thn i get killed. Also ppl using speed boost^^, really bummer whn u over jump. I do move it. Whenever you don’t see my ingame mouse cursor in that video, that is because I am holding down the right mouse button to adjust the camera as I move. 7 hours and 4 times watching the guide and I finally got it, thanks! Well, it’s been done. 20 hours of my life well spent on that clock tower. I literally couldn’t sleep until I beat that thing. Bravo Mr. Foreman, bravo. Words cannot describe the joy I felt jumping through that clock face. Thank you and continue to make more awesome content fr this awesome game! Took me maybe 10min to reach the clock enterance the first time.. but failed to jump through it. Within the hour after that I managed to get to the same place.. THE LAST JUMP.. around 5-6 times.. but every time I failed to jump into the clock even thou it seemed to easy and I timed it “visualy” perfect every time.. last time thou.. I were with another guy there, and I waited and jumped when he jumped. When he jumped the clock with the broken glass was looong passed my point of u.. and it seemed like we just jumped into a brick wall.. but we made it. This is very strange caus I have very good latency.. probably better than average.. and I think that was a downside for me. But we made it after jumping like 3sec after the window had passed. Tip> try completing Coddler’s Cove @ Timberline Falls first. This jp really improves yr jumping skill & confidence a lot. hey dulfy, absolutely love your guides! just a quick pointer for point #2. i always find it helpful to jump from the top right corner of the edge of platform (chunk of wall in your pic). 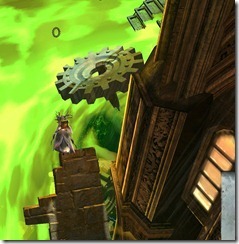 and it helps with a bird’s eye view or overhead POV to judge when you have to actually jump off. it’s a long jump so you might feel like you’re almost off the platform before you jump. Got those Armwraps. Can choose from 3 different armor types. Also they are suited for lvl 80, and the stats can be changed, but only once. Sorry, got some problems with attaching the image. FYI, there are only 6 stat choices currently…not sure if this is a bug, particularly given Daniel Moir’s post above. Regardless, I can only choose from Berserker’s, Carrion, Cleric’s, Dire, Rampager’s and Shaman’s. Completion rewards: Mad King Chest [Exotic] + 2 halloween tonics. The chest allows you to choose gloves of madness for your armor class as noted by Lunatic Sorceress below. Subsequent runs reward 3-4 Trick-or-Treat Bags. 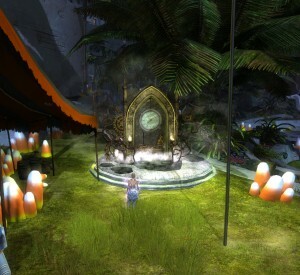 *This is an easy way to obtain the 50 ToT bags required for your achievement once you’ve got the run down. There is no bonus reward for having the highest number of completed runs at the end of the round. Something different from last year… you can press f in passing the chests throughout the puzzle and they open without stopping you. So you can get 9-10 trick or treat bags in one run if you open all 4 chests in the puzzle. Also, don’t think you can use speed boosts this time. No skills in the lobby to use. Also, if you have trouble with the speed, run spekks lab in caledon forest without letting go of w on your run through. It helps you to adjust the camera while running and jumping in random directions; plus it’s timed because the platforms disappear as you go. 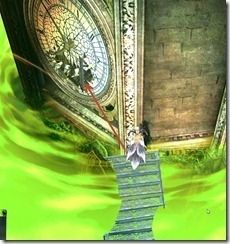 (Spekks lab is good because if you fall and die they res you at the main entrance instead of waypointing on death). Dang reinstalled the game just for the clock tower. Glowy blue balls and minimum trash talking took the edge off this one for sure. No reason to repeat it more then a few times without that sense of fun racing and blocking each others views gave it. so.. this year(2014) this jumping puzzle doesn’t have an achievements right?